In the long-running animated series' second feature film, the focus is on the show's perennial second banana, Chuckie (Christine Cavanaugh). 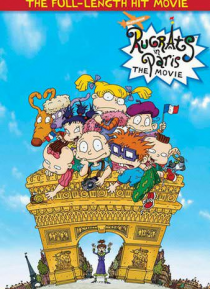 Dads Stu (Jack Riley) and Chaz (Michael Bell) are unexpectedly sent to Euro-Reptarland in Paris, where the animatronic dinosaurs they built for the amusement park are malfunctioning, much to the displeasure of manager Coco La Bouche (Susan Sarandon). When the… dislikable Coco gets interested in the single Chaz, Chuckie and his friends swing into action.